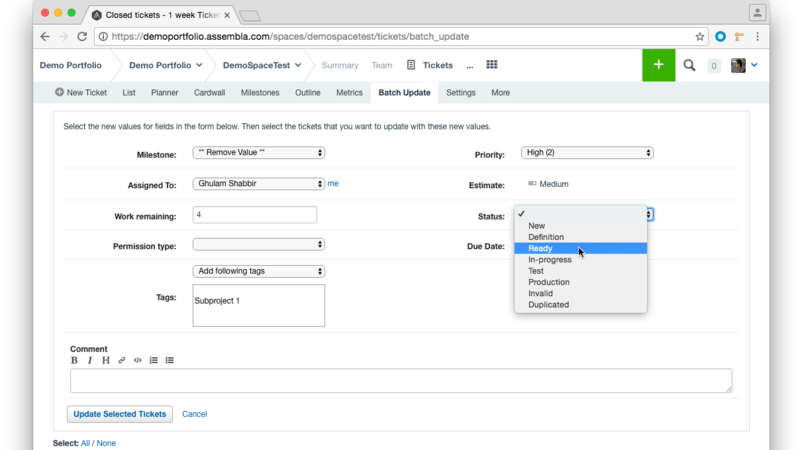 Assembla's Batch Update is a powerful tool for managing your tickets. 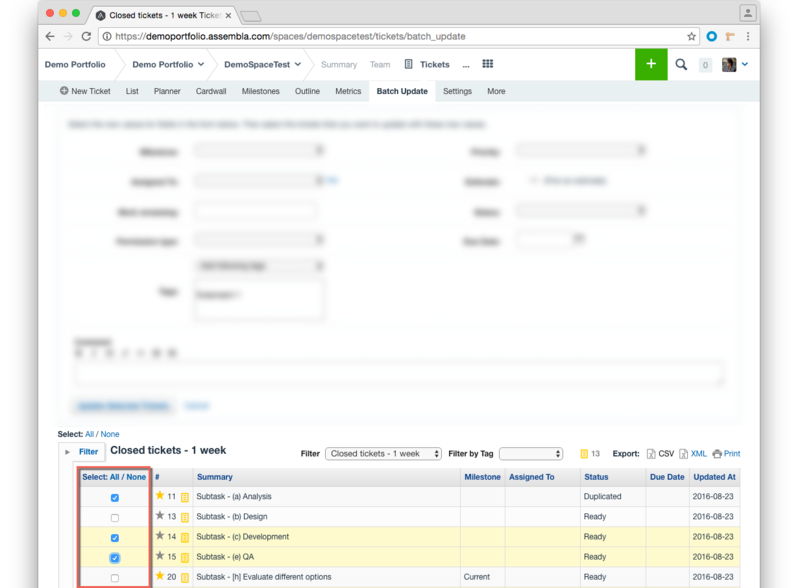 Instead of manually clicking each ticket and changing its parameters (like Milestone, Assignee or any custom field), you may delegate this task to a script that will do the dirty job for you. First, select the tickets you would like to be updated, by ticking checkboxes in the ticket list at the bottom of the page. You may also select all tickets in the list or cancel the selection, using Select: All / None buttons. You may refine, which tickets should be displayed, using exactly the same sidebar filter as in List view. After that, choose the combination of parameters you would like to be edited, enter a comment if you would like to (it will be added to each modified ticket) and click "Update selected tickets". Remember that you can also remove values by selecting the "Remove Value" option. Note: If you have chosen a lot of tickets to be updated, it might take some time to update them all, so please be patient. After the updating process is done, you will see updates in a Stream tab of your space as well as inside of modified tickets.